ROCKAWAY BEACH – Races for great causes aren’t uncommon, but it isn’t often you find one that benefits fellow athletes. The Race of Champions, presented by the Rockaway Beach Police Department, Rick’s Roadhouse Bar and Grille, the Tillamook Headlight Herald and North Coast Citizen, is one such event. The 1-mile, 10K walk/run will benefit Special Olympics Oregon-Tillamook County. It is scheduled for the afternoon of Saturday, Sept. 10 along the beach. Registration will begin at 1:30 p.m. at the Rockaway Beach Wayside, with the 10K group departing at 2:30 p.m. and the 1-mile group departing at 3 p.m. A “Parade of Champions” will be held at 2 p.m. The fun will continue with a raffle beginning at 4:30 p.m.
$15 gets you into the race and entitles you to a hot dog to celebrate when you finish. $30 gets you the above, and an official 2011 Race of Champions T-shirt. $50 gets you the above, and a raffle ticket for a variety of prizes. $100 gets you the above, and an official 2011 Race of Champions hat. Special Olympics provides individuals with intellectual disabilities “training for life,” which includes improved health and fitness practices, sharpened motor skills, increased self-confidence and enhanced social skills. The Tillamook County program supports more than 60 athletes who train and compete in four Olympic-type sports – basketball, bocce, bowling and softball – throughout the year. The program is offered at no cost to the athletes or their families. Tillamook County Special Olympics athlete Dalton McConkey, age 16, receives his medal at the 2010 Special Olympics Oregon regional softball competition. The money raised from Race of Champions provides Tillamook County local program athletes with uniforms, travel and lodging at competitions, and training facilities and equipment for practices. Special Olympics Oregon – a nonprofit organization accredited by the Special Olympics, Inc. – serves nearly 7,000 participants statewide. However, nearly 70,000 Oregonians with intellectual disabilities could benefit from joining Special Olympics, according to organization officials. To register for the Race of Champions online, go to www.firstgiving.com/soor/race-of-champions. 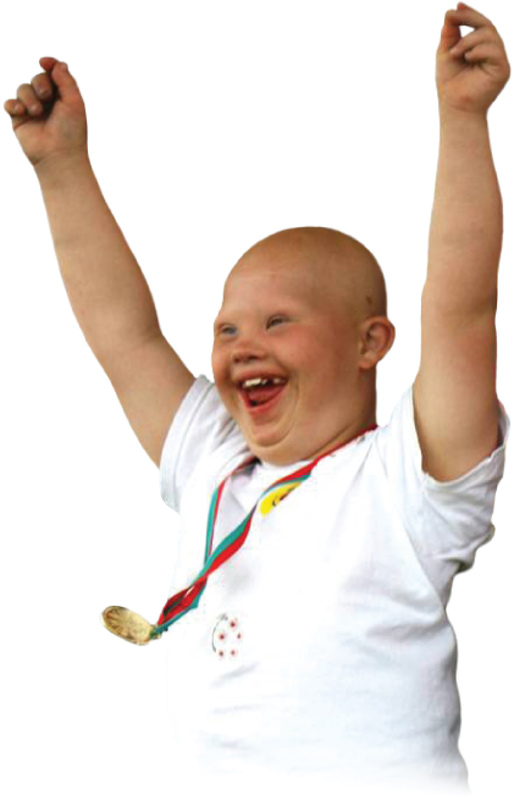 To learn more about Special Olympics Oregon, go to www.soor.org. Posted by rockyintertidalcocreative on August 29, 2011 in Uncategorized and tagged Dalton McConkey, Headlight Herald, North Coast Citizen, Race of Champions, Rockaway Beach, Special Olympics Oregon.